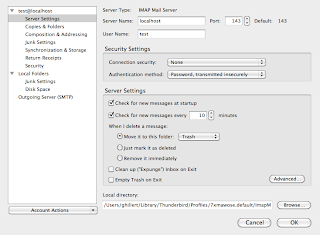 On windows machines I have been using Mailster for testing email notifications. 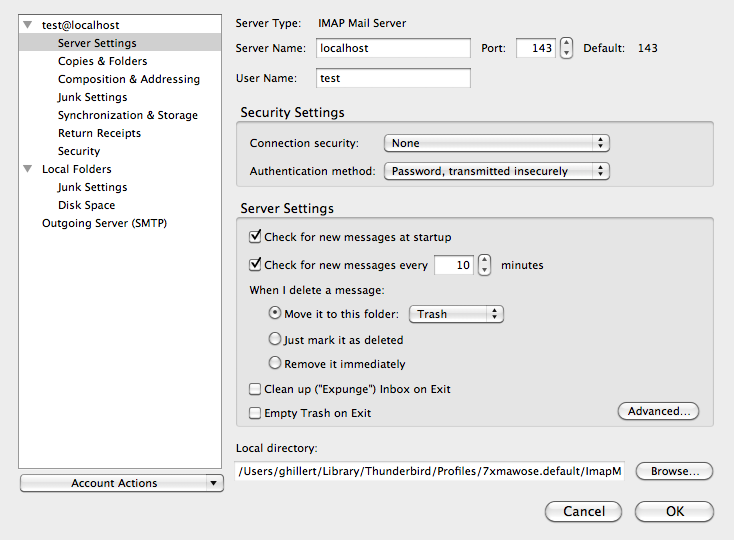 Unfortunately, I had issues with Mailster in the past running on non-Windows machines. 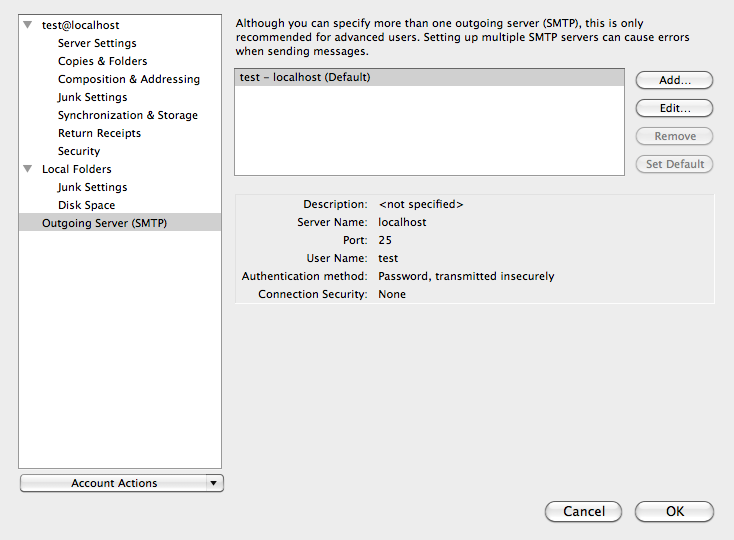 Thus, on Mac I have been using a local Postfix instance, which forwarded email to dedicated (real) mailboxes. 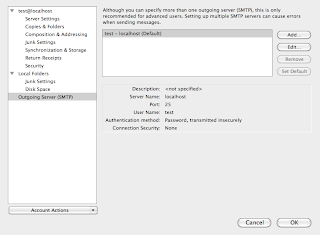 But, it involved a bit of customization and ultimately I had to "know" to which mailboxes I wanted to send notifications to. 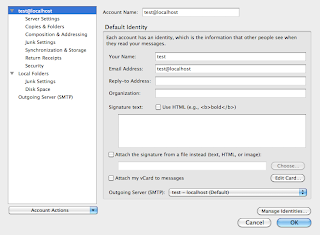 However, ideally I don't really care about email addresses. Instead I typically want to verify that the format and layout of the generated emails are good, be it text emails ort Html emails. Ultimately, it would be nice, if for testing, all notification sent ended up in ONE mailbox for development testing purposes. IT is amazing to see that this is pretty much the only dedicated blog posting on the internet regarding a seemingly very common issue. 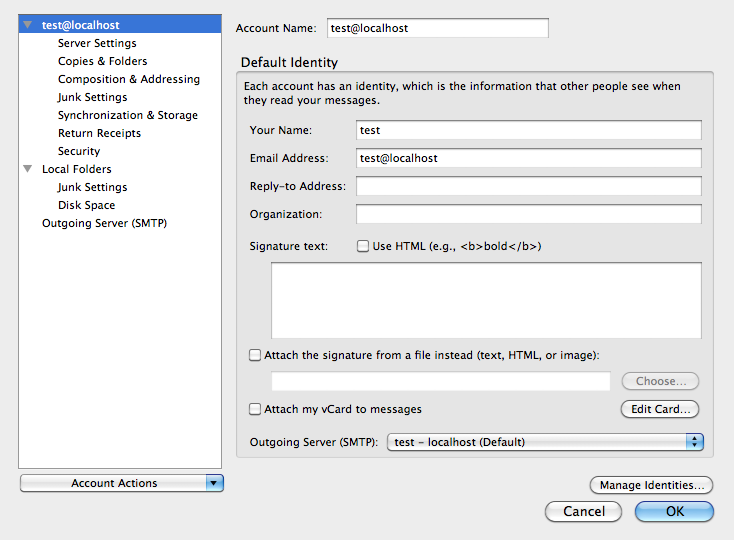 You would think that almost every serious enterprise application has to sent out email notifications, and be it solely for the "forgot password" feature. What is so fantastic about using Apache James, is that it allows you to test Email notifications, while sitting on a plane with no internet in sight. Just run everything locally. Replace the entire element that starts with "<mailet match="All" class="RemoteDelivery">" with: "<mailet match="All" class="Forward"> <forwardto>test@localhost</forwardto></mailet>"